Day one of the SALGA Council of Mayors (SCoM) kicked off on Wednesday, 6 February 2019 at the City of Cape Town Council Chambers with over 150 delegates in attendance at the Council Chambers in Cape Town. Under the theme “Enhancing the role of Municipalities in Promoting Investment and Job Creation,” the second annual Council of Mayors serves as a forum through which mayors can consult one another in matters of common interest to improve governance and service delivery within local government. CapeTalk's breakfast show with Kieno Kammies broadcast live from the Cape Town Civic Centre. Follow the SALGA Council of Mayors on Twitter. The Executive Manager at SALGA, Lance Joel says this year's council will reflect on some of the resolutions made in 2016 in terms of progress made. There were a lot of concerns around development in rural areas and the request was that we need to look for funding to increase infrastructure development in rural areas. We have done a lot of work in that regard. We have engaged with the National Treasury and today we will be reporting on the progress we have made. The meeting will also be looking at progress made in terms of municipalities recovering money lost during the building of the 2010 infrastructure from companies that overcharged them. 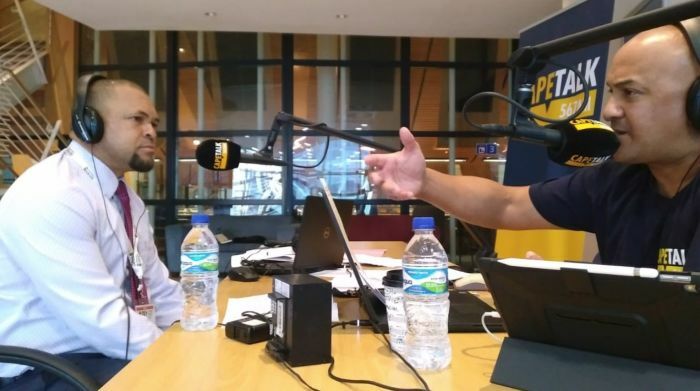 Salga's Parks Tau speaks to CapeTalk's/702's Ray White about the energy solutions and the role played by local government. Speaking from the Salga Energy Indaba in Sandton, energy expert Dr Willem De Beer looks at local energy solutions for SA. Salga hosts an energy Indaba to look at new energy models and how to deal with debt. President Cyril Ramaphosa is delivering his first State of the Nation Address in the National Assembly. A Salga report found that 43 councillors were killed in the country between 2011 and 2016. Despite only 49 out of 263 municipalities getting a clean audit, Salga explains some of the positives. South African Local Government Association holding the first meeting of the council mayors in Cape Town. The former “Money Show Kidpreneur” won the grand prize at Google’s science fair for her “fighting drought with fruit" submission.